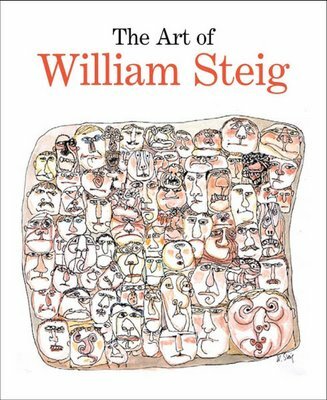 William Steig, who spent his last decade in Boston, was one of the great cartoonists of the past century. He drew cartoons for the New Yorker and children’s books (one inspired the Shrek movies) with an endearing, spontaneous, ramshackle style that recalls kids’ doodles, and shares their sense of wonder and magic, too. The Art of William Steig, published in conjunction with an exhibit at New York’s Jewish Museum [last winter], marks the centennial of Steig’s New York birth and is the first major assessment of his career since his death in 2003. It’s a soft-focus appreciation by curator Claudia Nahson, Maurice Sendak, Edward Sorel, Steig’s daughter Maggie, and his last wife, Jeanne. 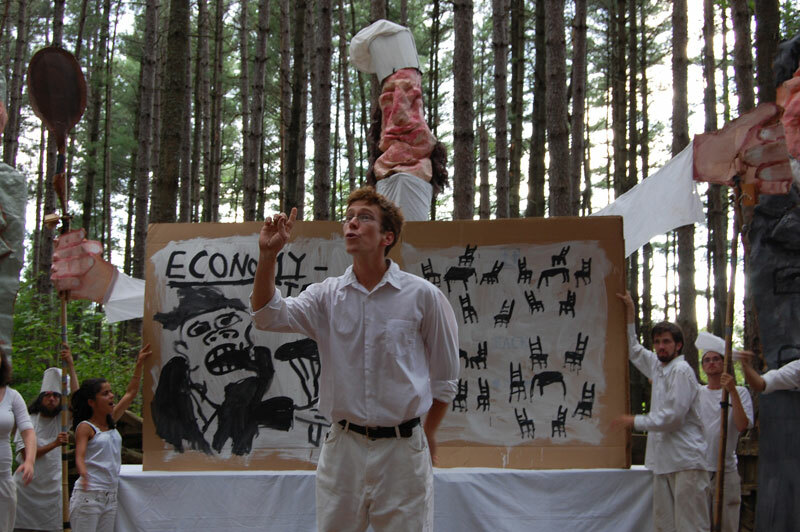 Such fiery rhetoric is evidence of the continuing radicalism of a theater born in New York in 1962, when the fledgling experimental troupe made its name protesting the Vietnam War with papier-mâché masks and giant puppets. Coming soon: An interview with Peter Schumann. It's divided into parts: one, two, three. Also, a whole bunch of photos of the troupe from my recent visit are here. 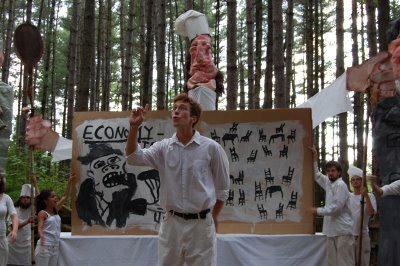 Bread and Puppet’s annual summer series wrapped up in Glover last weekend, but they’ll march in the Honk Parade from Somerville to Cambridge on Oct. 12, and perform in Providence at Brown University on Oct. 15 and 18, the Met School on Oct. 16, and Firehouse 13 on Oct. 19. The troupe returns to Boston Center for the Arts from Jan. 25 to Feb. 1. Photo by The New England Journal of Aesthetic Research. Rhode Island College announced last week that its Bannister Gallery has been given 159 Andy Warhol photos by the Warhol Foundation. The collection, valued at $182,200, includes shots of Bianca Jagger, Pia Zadora, Liza Minnelli, Martin Scorsese, John Travolta, Debbie Harry, Pele, Giorgio Armani, and painter James Wyeth. Bannister director James Montford tells me that he plans to make a brief presentation of the photos this fall -- at a date still to be determined -- and then mount a full exhibit at the gallery next year. Bannister Gallery applied for the gift after the Warhol Foundation announced in February 2007 that it would make the artist’s work available to college and university art museums throughout the country as part of the foundation’s 20th anniversary. Last October, the Bannister Gallery was selected as one of 183 educational institutions across the country to receive the gift. 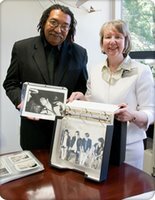 Pictured: Bannister Gallery curator James Montford and Rhode Island College president Nancy Carriuolo show off the Warhol photos. Boston artist Ben Sloat kicks off his Michael Jackson-obsessed exhibit "I'm Not Like Other Guys" at O·H+T Gallery, 450 Harrison Ave., Boston, with Dorchester teens from the OrigiNation dance troupe performing the main dance sequence from Jackson's 1982 music video "Thriller" on Thayer Street at 7 p.m. Friday, Sept. 5. Wow! The exhibit continues through Sept. 27. 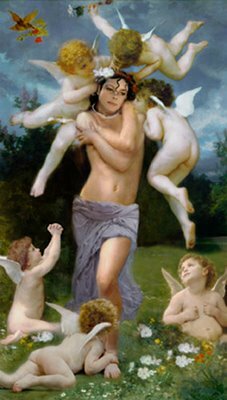 Pictured: Sloat's 2008 painting "Seductive Whiteness." The inspiring folks of Platform2 are inviting people to join them in their global-warming-themed “Parade for the Future,” beginning outside Boston’s Park Street T station at 4 p.m. Saturday, Sept. 13. It was originally scheduled for June 15, but was postponed due to bad weather. Platform2 events – organized by iKatun, Andi Sutton and Jane D. Marsching – have been some of the most thoughtful, intriguing stuff going on around here. Don’t miss this one. Thoughts on the last Platform2 event, “Failure Support Group” in February. 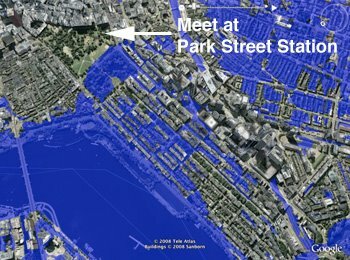 Note the correspondences between “Parade for the Future” and this global warming event at Boston Common in April 2007.